First expertise that has been assigned to the late 80s, work career is no longer a mystery to us. 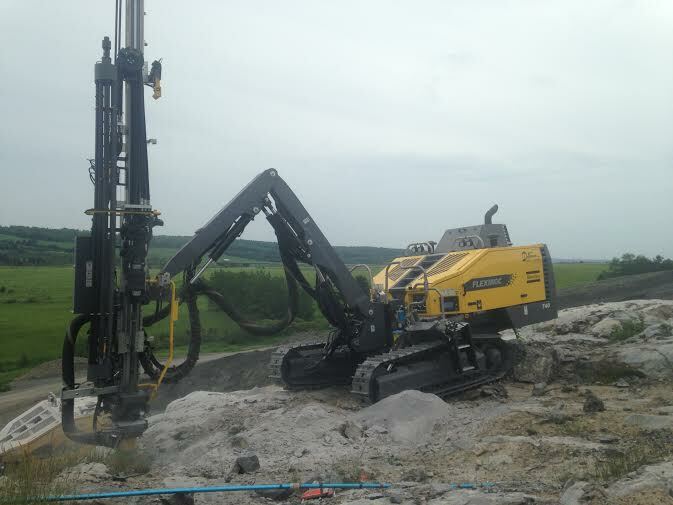 Our specialists in this field have acquired the necessary experience so that we maximize the quality of drilling and blasting with diameters of boreholes from 3" up to 5,5". The work in the quarries is mainly to bring the quantity of rock, as determined by the customer to switch to 100% in the crusher, according to a maximum size of stone required. The mandate is, then we work with customers to reduce production costs to a minimum. We do therefore, drilling and blasting of benches determined and subsequently, if necessary, our hydraulic hammers break pieces of rock outside dimension. Our main purpose, reduce the production cost of the customer. We offer the seismic control, and management of complaints. 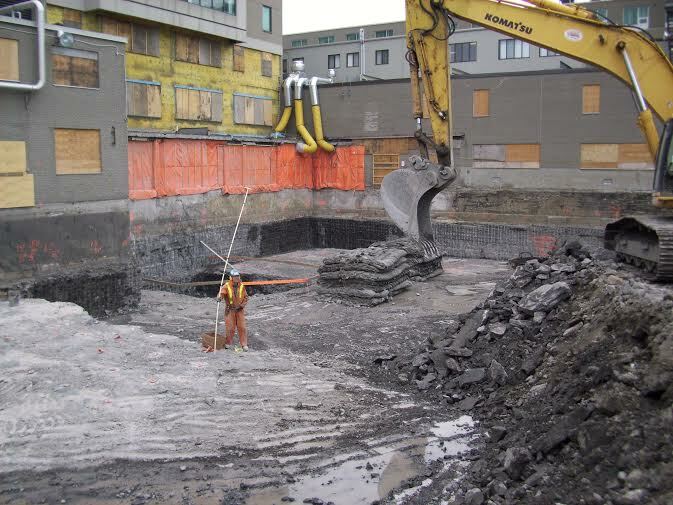 It is important to note that our blasting are controlled to meet the standards of vibration and its set by the customer or the Government of Quebec. To minimize vibration and improve rock fragmentation, the electronic detonator is a new tool for blasting that we can offer to meet your requests. Several levels of knowledge among Dyfotech in drilling and blasting construction could enable your company to use our services. We assure you a professional service to achieve your goals. The services offered are similar to work done in career, but the technique is different. The rock cuttings are much more accurate and therefore, the diameters of drilled holes must be smaller. In most cases, we must limit the projection of rock with blasting mats. To do this, we provide mattresses and offer the possibility to install with our hydraulic excavators. Depending on your needs, our hydraulic hammers can be used to reduce the size of the stone blown up or to finish the floors or walls. Please note that we can take charge, to your liking, the seismic monitoring and treatment of complaints.